German teacher • Find native teachers teaching German for a good price! Your German teacher will entirely adapt his schedule and his lessons to your needs. 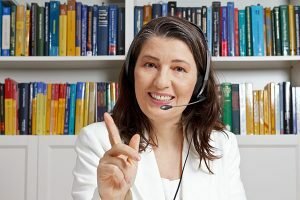 At language-online, we garantee a high standard of teacing from your German teacher and a fast process of learning for our students. Our german teachers follow an internal training continuously over time. We also oversee the lessons between our teachers and our students, so that we are always aware of the quality of our service. All our teachers have experience in teaching. They also live in third world countries so we can give you the best prices in the market. Our teachers are all native german speakers with a bachelor or master degree. For that reason, they all speak the German language perfectly. At language-online, we think that only a native person can teach German well, and especially in online lessons. In our language school,you can choose between different German courses, including private German lessons or group lessons. Both have their advantages and disadvantages. In the private lessons, you wiill be attended by your german teacher in a very personnalized way. He will adapt continuously to your learning process. In the group lessons, you can exchange ideas with the other students. Another advantage is also the economically aspect, as the group lessons are cheaper. What can I do if i am not happy with my German teacher? In our online language school we want to make our clients happy. If for whatever reason you are not satisfied with your german teacher, we will do all our possible to solve this problem. And f what you want is to change for another teacher, we will assign you another one. What is the price of a private lesson with a German teacher ? 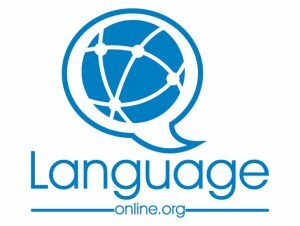 Language-online has the best prices in the market. We can achieve this by keeping the administration costs as low as possible, and also your German teacher lives in a country where the cost of life is cheap.